Our journey with the palates began from the ceremonial feeding of the first morsel of cooked rice. Food is indeed the elixir of our lives, and cooking is a talented art form that not everyone masters. We are hoping that this blog would be an "Annaprashanam" of sorts for cookery virgins or beginners. In very little oil fry all the above ingredients except coconut and keep aside. In the pan dry roast the coconut. Best part is coconut can be kept optional. Once cooled down make powder and u can store it in an air tight container in the fridge for later use. 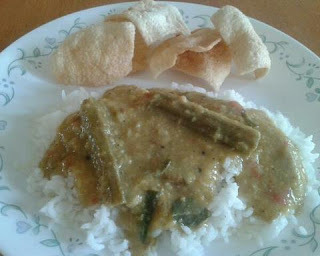 1) Best veggies to use for this are- drumsticks,kothavarangai, podalangai,avarakai and tomatoes. Only one of these veggies can be used. For drumsticks alone they need to boiled in water separately. All other veggies can be pressure cooked along with the dal. 3) Bring water to boil in a vessel, add desired amount of the porichakozhambu podi and let it boil. Add The cooked veggies and dal. Add salt to taste. Keep stirring well to avoid the dal to stick to the vessel. 4) once done temper with mustard seeds, broken urad dal and curry leaves and aesofotida. For pure vegetarians likes us its very difficult to add protien into our diet. Especially with kids - they are so picky! So nowdays i often make paneer parathas, not like the regular ones. I simply grate paneer and knead with wheat flour, red chilly powder and garam masala. Then I make them like regular parathas. For the Masoor Dal - Pressure cook or bring to boil masoor dal, green chillies, ginger, turmeric powder, salt and sugar. Once nicely cooked - heat mustard oil/ghee in a pan and add panch poran and dry red chillies. pour it on the dal and garnish with fresh corriander leaves. Bombay Chutney is very handy when you have sudden guests or shortage of fresh vegetables. It can be prepared with very few ingredients and a good combination for poori, chappathi, idly, dosa or adai. Mix flour, a pinch of salt in buttermilk and stir well so that it should form any lumps. Heat oil in a kadai and splutter mustard seeds and curry leaves. Add urad dal and channa dal and fry for few seconds. Add green chillies. Saute for few secs and add onion slices if being used. Adjust turmeric and salt and fry till soft. Now add the besan mixture and stir well without forming lumps. Cook it on low flame for 5 mins. Stir it occasionally so that it does not thicken much. Adjust salt if required and serve hot by garnishing with coriander leaves. The basic problem we women face these days in 'Anemia'. We are unaware of this health issue and continue to do our work without a sweat. So today being Womens Day - I do not want to wish just for the sake of wishing. A Healthy recipe that would help us be healthy and fight Anemia! This is a very easy peasy snack that can be made very fast. The easy way out is to use readymade sevai. I use concord brand sevai. Follow the instructions on the packet to cook the sevai. Heat oil in a pan, add mustard seeds, urad dal, dry red chillies, curry leaves and aesofotida powder. Add the cooked sevai and little turmeric powder and salt. mix well and remove from heat. add lemon juice and fresh corriander leaves. Thats it...yummy sevai ready! Yesterday out of the blue wanted to have baigan ka bharta and so here is an easy peasy recipe for the same. Make a few slits in the brinjal and stuff the garlic in it. Grease the brijal with little oil and burn it directly on the stove. Once done...peel the burnt part and remove. Mash the brinjal along with the garlic. Heat a pan with oil and let the mustard seeds splutter. Add onions and fry till they become transparent. Add tomatoes followed by the mashed brinjal and green chilly. Add the dry masalas and salt and let it cook for few minutes. Once done add some corriander leaves. Serve this hot with rotis or with plain rice.